One of these new studies, led by researchers from the School of Earth and Atmospheric Sciences, analyzed the presence of wildfire related carbon-containing aerosols in the upper atmosphere, uncovering a higher than anticipated concentration of brown carbon at high altitudes. The results have important implications for how brown carbon, an organic aerosol that results from the incomplete combustion of vegetation and organic material, is included in climate models. The aerosols emitted by burning biomass consists of black carbon and other organics. Black carbon, an aerosol formed by mostly pure carbon that can also be produced by burning fossil fuels, is well studied and understood to be a powerful atmospheric warming agent, though less is known about brown carbon. At these high altitudes, brown carbon has a disproportionately large effect on the radiation balance by absorbing the sun’s rays — an effect considerably more pronounced in the troposphere than it is at ground level. The highest levels of this radiation absorption were observed during a wildfire plume event. The research concluded that high-altitude brown carbon emitted by wildfires has a more profound climate impact than previously thought, one not fully accounted for in current climate change projections. A second study — published in June 2017 and co-authored by Tech researchers — helped to shed further light on wildfire events like California by analyzing the particulate matter present in wildfire plumes. Particulate matter from plumes consists primarily of organic aerosols such as brown carbon. It was discovered that levels of wildfire particulate matter emissions have been underestimated for years. According to the researchers, it can also be spread over a large area. Traditionally, the wildfire emissions estimates have been based on controlled agricultural burns. This technique has limited accuracy as controlled burns often have a different mix of biomass fuels and generally consume less fuel per unit area than a wildfire. 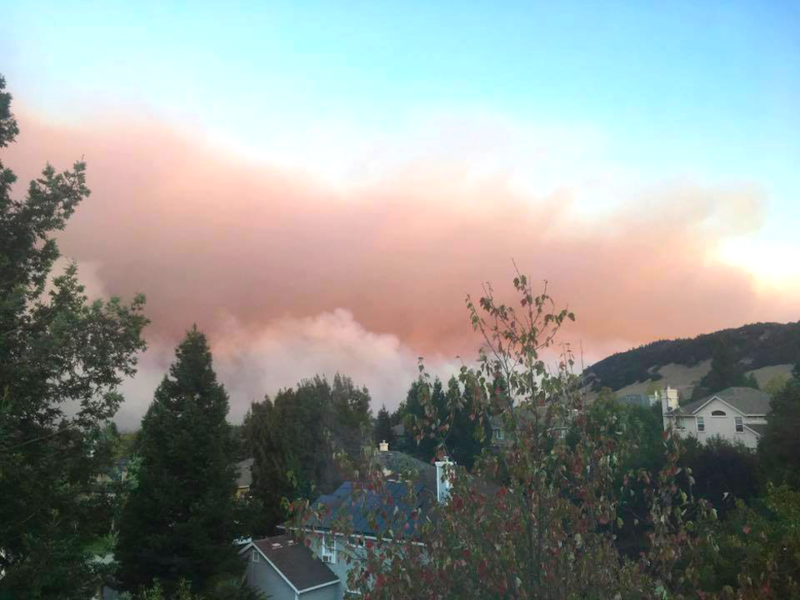 The research concluded that wildfire particulate matter pollution is three times the current EPA National Emissions Inventory estimate of PM2.5 (particulate matter finer than 2.5 microns), and almost two times the estimated level of PM2.5 from all other sources combined. The correlation between climate change and the frequency of wildfires is yet to be completely understood, but as these recent studies show, research from Tech is playing a key role in the understanding of the lasting, if more subtle, environmental effects of wildfire.